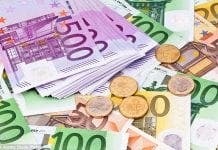 FOREIGN investment into Spanish property is expected to break all records this year. Demand from abroad has grown for seven years straight, according to international consultant firm JLL. In the first half of this year alone, foreign buyers and funds have more than doubled the investment on the same period last year. 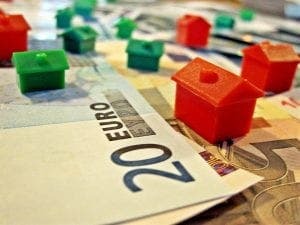 So far external investors have sunk €888 million into buying Spanish property, smashing last year’s record of €330 million. While Madrid and Barcelona are the leading hotspots and attract the most interest from foreign buyers, Malaga, Sevilla, Mallorca, Bilbao and San Sebastian are also bringing in big numbers. It comes as it was revealed that Spain is still the most searched for destination for Brits looking to buy abroad. According to Rightmove, Spain is the most popular destination for Britons looking to relocate or buy a second home. Average monthly internet searches total over 2.5m, some 74% above its closest rival and second placed France. Portugal came third on the list, followed by the US and Italy. Alicante was the most searched region in Spain, increasing by 53% from last year. At €126,054, however, it also has the lowest aver- age enquiry price of the most popular sunny regions. According to Rightmove, 62% of Alicante enquiries are for houses, while 38% are looking for flats or apartments. With an average enquiry price of €397,813, property in Mallorca is most popular with high budget buyers, with 54% looking for flats and apartments and 46% looking for houses. Despite properties in Mallorca being three times higher in price than those in Alicante, it still tops the list as the second most searched for property destination in Spain. Malaga is in third position, with an average enquiry price of €191,830.